IBU World Cup Rundown from Oslo: Canada’s Lunder 9th, Egan 12th for the U.S. 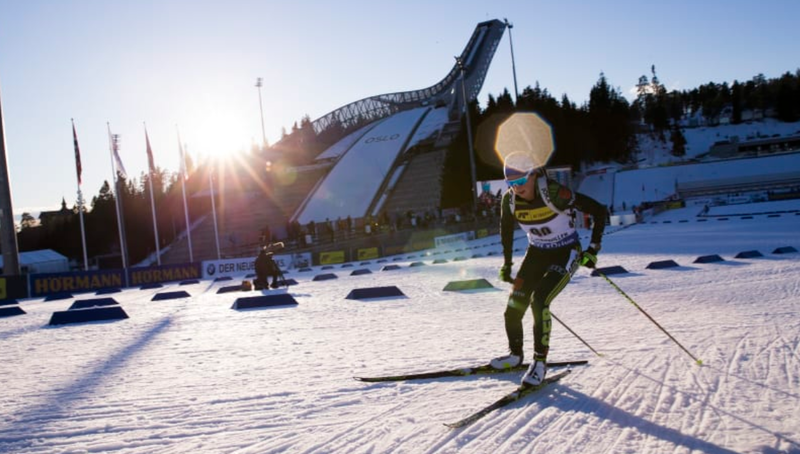 The IBU World Cup resides in Oslo this week. The women began the racing with the 7.5-kilometer sprint on Thursday. The podium rundown goes like this: Slovakia’s Kuzmina Anastasiya shot 1+0 to win in 19:56.2, Germany’s Franziska Preuss placed second (+21.2, 0+0), with Paulina Fialkova of Slovakia in third (+25.1, 0+0). This was Kuzmina’s fifth win at Holmenkollen and secured her the IBU sprint overall title. Canada’s Emma Lunder was the top North American in ninth place. Lunder clean both shooting bouts and was 49.0 seconds behind the winning time. This was a career best individual result for Lunder on the IBU World Cup. Clare Egan for US Biathlon skied to 12th (+54.6, 0+1). Susan Dunklee placed 30th (+1:30.8, 1+1), and Joanne Reid 47th (+1:57.7, 0+2).